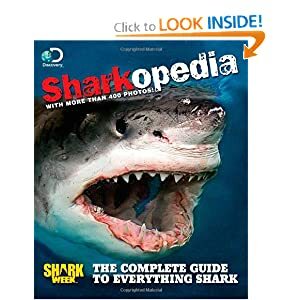 TIME Home Entertainment, Inc has teamed up with Discovery Channel to create Sharkopedia: The Complete Guide to Everything Shark —a book full of captivating photos and the coolest facts about the world’s most astonishing and feared creatures. 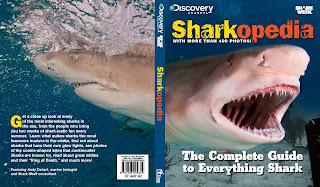 Sharkopedia (Time Home Entertainment, Inc.; $19.95 US) is available at www.sharkopedia.com and wherever books are sold. The book also includes an introduction and special contributions from shark expert and marine biologist Andy Dehart, a regular contributor to Discovery’s popular week-long TV event, Shark Week. Shark Anatomy and Senses –Explore shark parts, skin, muscles, fins, gills, hearing, taste and touch. Record Breakers – Which shark can live over 200 years? Shark Behavior – Do sharks sleep? Shark Conservation – Rather than being afraid of sharks, people should be afraid for sharks, as their populations are seriously threatened. Scientists, legislators and advocates—people who love sharks—are working to protect sharks in many ways. In addition, Sharkopedia is filled with information about some of the most infamous sharks, including the Great White, Bull and Tiger. Learn about the two fastest-swimming sharks, how some sharks get their teeth cleaned, and why tiger sharks are known as “garbage guts.” Readers will get a close-up look at what makes sharks the most fearsome hunters in the ocean, read about the Great White “Ring of Death,” and much more. This was a great book with anything and everything that you could think of in regards to sharks. No matter if you want to know about things from anatomy to what they eat and so much more, this is your book. On top of this the amazing content is filled with great pictures that accompany and through this you truly get up close and personal with the sharks you know as well as uncommon ones that you would only dream of. I learned so much in reading this, and even learned so much more about the fact that not all sharks are dangerous as you normally would think. This book has so much packed into one place and is an ultimate guide for anyone wanting to know more about sharks in general!